The small scale and intricacy of the painting gives it an intensity that Pollock’s work, which I also love but for different reasons, lacks for me. The use of colour is subtly beautiful and the surface becomes almost like a landscape. Krasner’s painting was one of the highlights of the afternoon spent at the Met and not just because the stats from the Guerrilla Girls posters were also on my mind. It’s no great surprise that in an art world – and indeed a society – dominated by men, Krasner was defined more by her marriage than her work. The list of women artists overlooked or marginalised by art historians would doubtless be a very long one if we knew a more than a fraction of the names that should be on it. Though Krasner’s work is in museum collections it’s rare to see a mention of her that doesn’t also mention Pollock – and yes, I’m fully aware that I’m doing that too – whereas Pollock is more likely to be discussed in other terms. 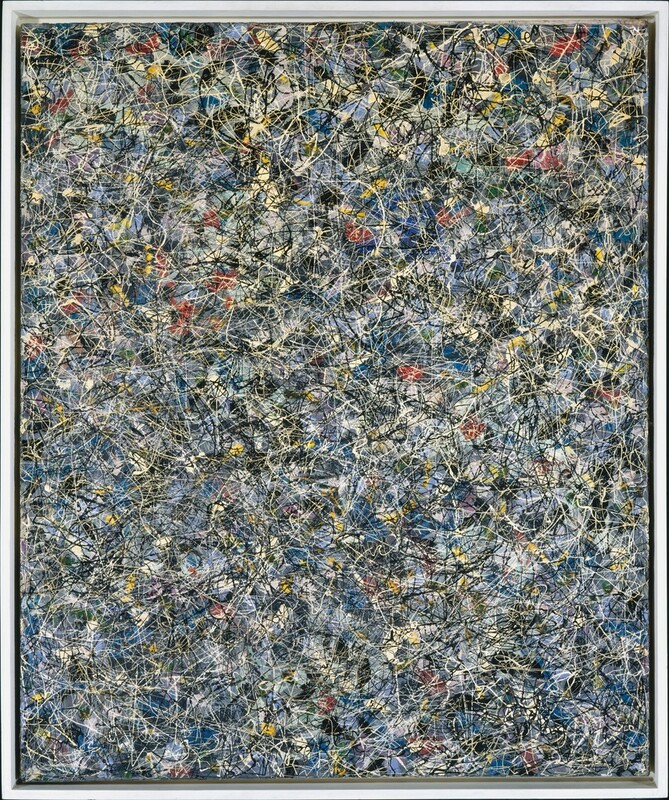 In part of course, as custodian of her husband’s legacy after his early death in 1956, Krasner could be seen as having contributed to her own marginalisation though she was hardly likely to walk away from that responsibility or leave it entirely to others to maintain his status and reputation. This entry was posted in Painting and tagged abstract expressionism, art, Lee Krasner, Night Creatures, painting, Untitled (1948) by Ann Jones. Bookmark the permalink. “…painting… about the outcome [rather] than the performance of making it” – I like that very much; very astute. Women are never to blame for their own marginalization. The same oppression that forces women to align with male interests for survival kept Krasner chained to Pollock’s legacy. The inability to see her as anything but an appendage of Pollock’s is not her fault, but that of a society that considers women objects, property, not quite fully human. You’re right, of course; I guess my intention was to flag that as an argument that could be made rather than suggesting it as a valid viewpoint. That argument has been made and will continue to be made by those who have a vested interest in keeping women down. Misogyny is the status quo, not a theoretical possibility. Debunking the belief that women are responsible for their own marginalization is necessary. It can even be fun, because each act of resistance makes you feel like you’re getting a piece of your soul back. Ann, I enjoyed this article very much. I like your style – informative, thoughtful, and insightful without the nonsense that so many commentators resort to. I’m looking forward to following your observations. Very insightful. You might enjoy reading Lee Krasner: A Biography by Gail Levin (2011). Ooh, thanks, that sounds interesting. Will check it out. 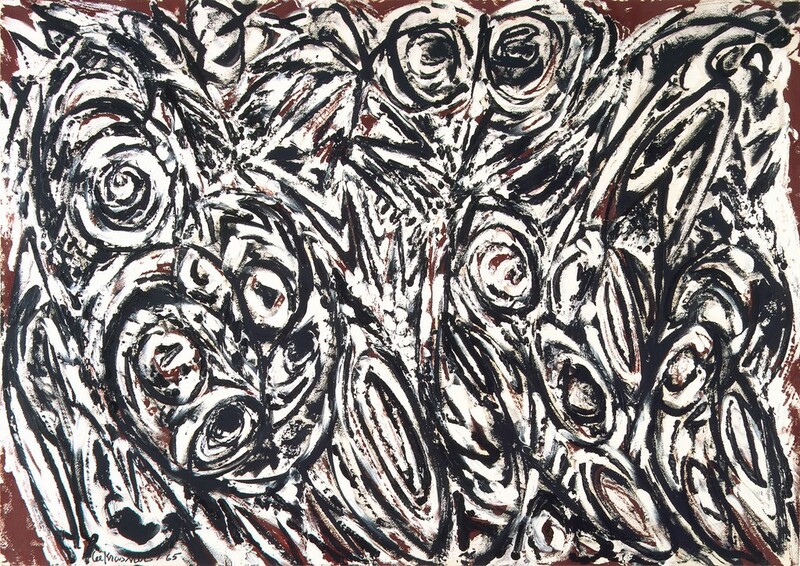 I’m too sick this week to write much, so here’s some Lee Krasner from another art blogger. Enjoy.